How to Use IoT in Retail Industry for Maximum Returns? How to Use IoT in Retail Industry for Maximum Returns? How to Use IoT in Retail Industry for Maximum Returns? Do you think Internet of Things (IoT) is just hyped concept or you believe it is truly a disruptive technology? Those who are up-to-date with latest news and technology trends would not think twice before answering the above question. IoT is much more than a buzzword now. Internet of Things has penetrated into several industry verticals including but not limited to retail, healthcare, ecommerce, real estate and education. Though all domains are experiencing the positive outcomes of IoT integration, the one that tops the chart is retail industry. IoT theory is still in its budding stage. The rapid acceptance of Internet of Things in retail and changing usage patterns of consumers reveal the scope of expansion of this concept. 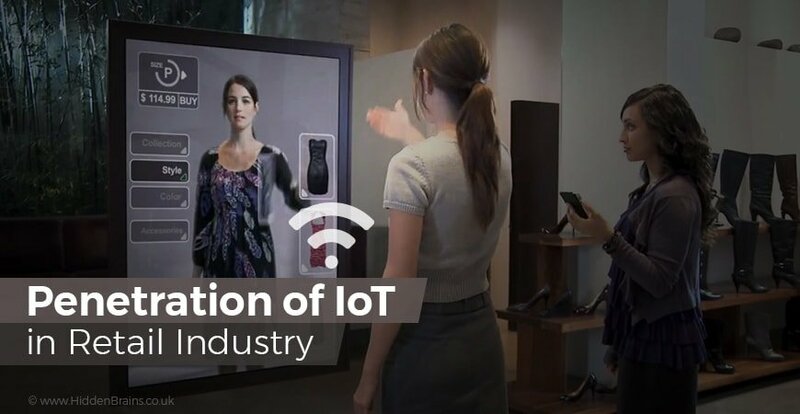 The magic of IoT starts working on customer even before they actually enter the store. With the help of geo-fences installed around the store in vicinity, IoT system can send updates to nearby visitors on latest discounts and special festive offers on specific goodies or products. For example, you are in around say 100 to 200 meters away from a retail outlet and you receive a notification that says, “Special Christmas deals on Xmas trees, Cakes and decoration items at our store. Come here and grab the best offers.” Such messages are effective in reminding visitors of products they would need at home. This allures them to visit the store once and have a look at special festive deals or promotional offers. Proximity marketing is recognizing the exact location of customers inside the store and notifying them of products in their immediate proximity. 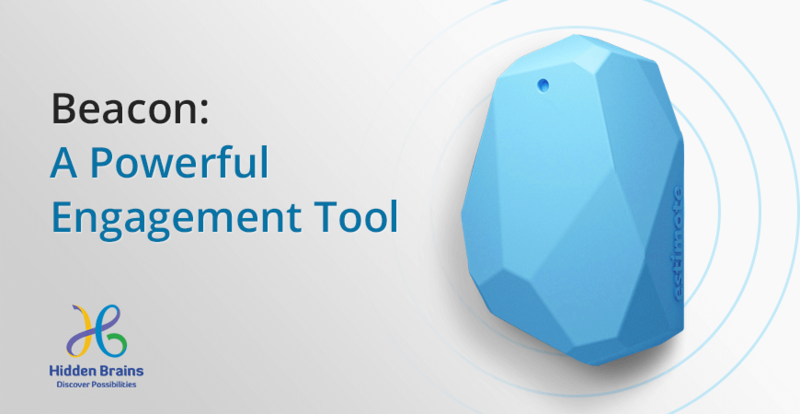 Beacons are used to implement such marketing strategy. This is quite an effective method of marketing products as it improves engagement of customers with the product. For example, you are inside the store and nearing a shelf that is loaded with chocolates, candies and other sweets. In this situation, beacons would recognize you and send an instant notification through mobile app saying, “How about buying some chocolates and sweets for this Christmas?” These location based updates are quite helpful to customers who miss out on groceries during their purchase of other items. Internet of Things is used for inventory management in retail. Keep a track of number of products in stock, its usage and ordering of products that are less in quantity. Some stores install smart shelves that automatically alert retailers about when empty. This is a sort of reminder for them to refill the stock. In addition to that, entire process of transporting products from source to destination can be managed through IoT system. In this case, source gets an alert of demand of products as soon as the stock runs low. Retailer is notified once the delivery of required products is initiated. Internet of Things (IoT) has entirely revolutionized the way retail industry works with most of the processes programmed to work in automated manner. 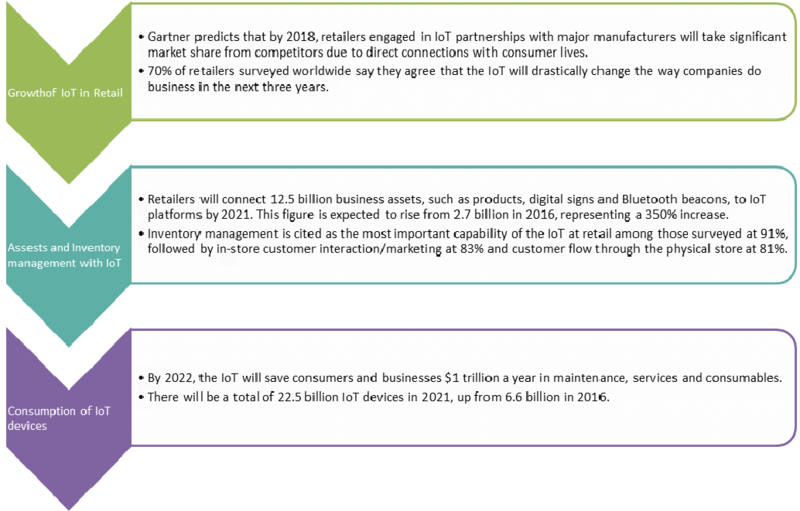 The amalgamation of digital business and Internet of Things has drastically changed consumer’s preferences and habits. 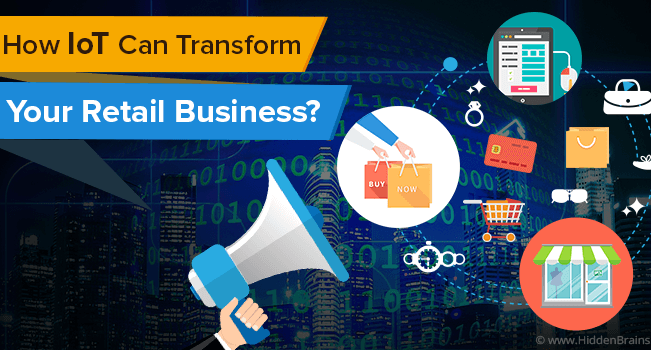 Retail industry is at the forefront of leveraging the power of IoT in terms of improving customer’s experience. Though much of IoT concept is already put to use, a major portion of it still remains untouched. Researchers and industry experts are still trying to find out new ways to make the most of IoT automated concept.